Das Kartenchaos: Yay, I am a neat and tangled girl! Yay, I am a neat and tangled girl! My facebook-friends already know about that: I'm a neat and tangled girl. 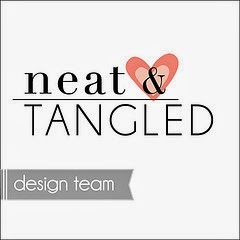 Danielle from Neat & Tangled decided to have me on her team - how exciting is that??? Meet the other girls here. Meine Facebook-Freunde wissen es schon; Ich bin jetzt ein neat and tangled girl! Danielle von Neat and Tangled hat mich in ihr Team aufgenommen - wie aufregend ist das bitte??? Hier findet ihr auch die anderen Mädels. Eeeeek, so awesome!!! Congrats on the new gig!! Wow - how exciting for you. Danielle is such a sweetie. Have fun with her fun products.